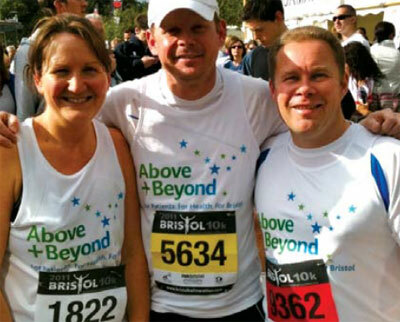 Above & Beyond is the local charity that raises funds for all Bristol’s nine central hospitals. We invest in projects that provide gold-standard care, and make a real difference to patients in our city. provide state of the art equipment. Some half a million people of all ages and with all health conditions from across the South West are treated in Bristol’s central hospitals each year. When patients, their families and friends want to say thank you for the care they’ve received, they come to us. Each year Above & Beyond provides approx £3 million to the hospitals - we aim to make a difference to every patient and every condition.